Adding my voice to the chorusofpraise for Penguin’s Gothic Reds series. Interviews with talented designer Coralie Bickford-Smith can be found here and here. I’m a big fan of the Red Classics editions: affordable, well-produced mass markets. 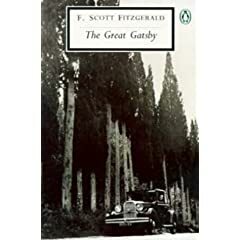 Their Gatsby is the most pleasant reading edition I’ve had since the mid-90s lime spine edition with it’s Tony Tanner introduction and gorgeous automotive cover. And I recently read their A Confederacy of Dunces, having turned my nose up at the ubiquitous Grove/Atlantic edition. The Modern Library trade paperbacks are still my edition of choice, but I have a lot of admiration for the Red Classics project. They seem to be trying to find the perfect balance between accessible, browser-friendly editions—at a low price point—with a measure of respectability for the book snob. Like me. Anyone can trash up classics in an attempt to court a mass market (movie tie-ins, I’m looking in your direction), and anyone can produce a lacksidasical in-house series in pursuit of high margin. But it takes quite a lot of imagination to make classics interesting enough they will actually move off ‘staff picks’ displays at bookstores. Bravo. Anyway, these editions look great on their own or together; the design is—in a word—spectral.